One of France's oldest church went up in flames yesterday, causing the spiral to collapse. Now, a few owners of some of the world's leading companies in technology, fashion and more are donating millions of dollars to help rebuild the Notre-Dame Cathedral. Apple CEO Tim Cook announced on Twitter that the company would be donating money to help rebuild the Notre-Dame Cathedral. Cook didn't reveal how much the company would be donating towards the rebuilding efforts. "We are heartbroken for the French people and those around the world for whom Notre Dame is a symbol of hope. Relieved that everyone is safe. Apple will be donating to the rebuilding efforts to help restore Notre Dame’s precious heritage for future generations," he wrote. François-Henri Pinault, the chairman, and CEO of Kering -- the father company of Gucci, Saint Laurent, Alexander McQueen, and Balenciaga -- pledged 100 million Euros for the restoration efforts of the historical site, Vogue reports. "Faced with this tragedy, my father and I have decided to contribute to the funds needed to fully rebuild Notre Dame de Paris, in order to bring this jewel of our heritage back to life as soon as possible," Pinault said in a statement via Twitter. The donation will ultimately come from Pinault's family's investment group, Artemis. Additionally, Louis Vuitton's father company, LVMH, issued a statement from the CEO, Bernard Arnault, who said that they'd be donating 200 million Euros to rebuild the cathedral. "In the wake of this national tragedy, the Arnault family and the LVMH Group pledge their support for #NotreDame. 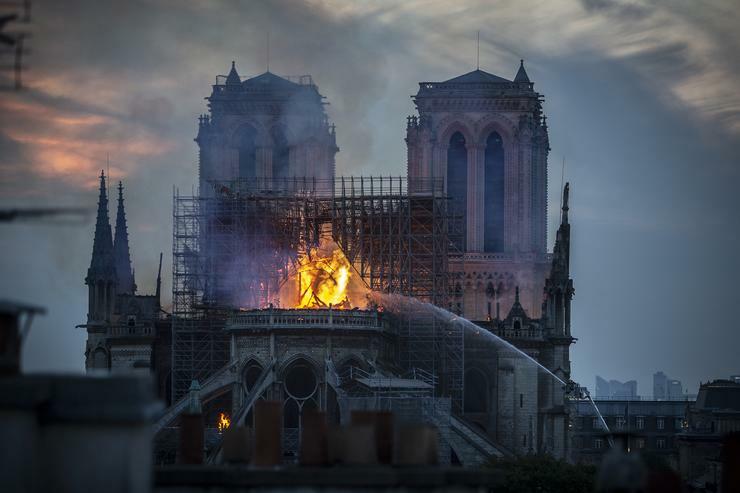 They will donate a total of 200 million euros to the fund for reconstruction of this architectural work, which is an integral part of the history of France," read the tweet.